A dental visit may be a routine thing to do for some people but for someone who has dental anxiety, fear or even phobia, a visit to the dentist (or even just the thought of it) is a major concern and often causes enormous worry and stress. Dental anxiety, fear, and phobia are terms often used to mean the same thing—fear of a dentist or dental procedure — but it is important to differentiate these terms. Whilst these terms describe the same phenomenon, the extent of the fear reaction is increasing from “anxiety” through “fear” to “phobia”. A person who has dental anxiety feels uneasy when his/her dental appointment approaches. This uneasiness is usually caused by an unknown worry over something that the person hasn’t experienced before. Dental fear, meanwhile, is a reaction to a known “danger”. The person knows what will be done during the dental procedure and he/she dreads the encounter, to the point of avoiding it entirely. Dental phobia is a more serious case of dental fear. As this article by Colgate’s Oral and Dental Health Resource puts it, Dental phobia is “an intense fear or dread. People with dental phobia aren’t merely anxious. They are terrified or panic stricken”. Phobia is a well-defined illness, and the correct term for ‘fear of dentistry’ is odontophobia. 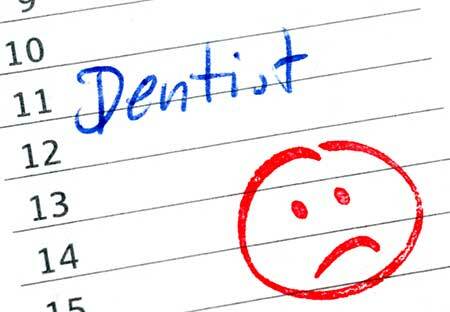 Odontophobia is not diagnosed by the dental staff but by a trained psychologist or psychiatrist. Read more about the complete results here. Dental anxiety, fear or phobia develop for many reasons. Below are the most common reasons, based on the study published in the Australian Dental Journal, “The Avoidance and Delaying of Dental Visits in Australia”. It is important to address any anxiety or fear one may have towards dental visit especially if this causes the fearful individual to delay or avoid needed dental visits. There have been several studies linking poorer oral health to higher dental fear . Recognising dental fear and realising that there are ways to alleviate it is an important step towards having good oral health. For people who have higher level of dental fear, Sedation or Sleep Dentistry may be an option. Corinna Dental Group offers this type of dental care. Read more about this technique here.